What was your age when you were able to use a cell phone? or when was the time when your parents let you own one? Actually, during the first appearance of this truly incredible gadget, my parents are amongst parents who aren’t convince to let their kids own one because they believe then that it’ll just be one of the many things that can interfere with studies and right values of children or whatever. That is why, it was only during my College days when I was allowed to own one, I even work at a fast food chain for four months to pool up funds for that! Good thing, was able to prove my parents wrong about cell phones to interfere with my studies because it didn’t! Surprisingly, it was really cool to have one of that, with up to date free ringtone and unit casings, my phone totally rocks and stand out! 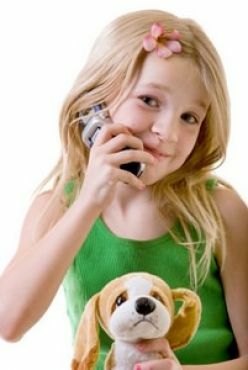 But if you’d ask me, what age is appropriate to have a unit of cell phone, I think that it should be around the teens age range, since at this stage, kids are well learning how to deal with others and they are more or less can determine which is which for them. So if you’d ask me will my daughter own a cell phone, probably after ten years!